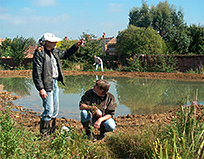 Long Lane Pasture Trust is run wholly by volunteers who give their time and effort freely to help manage and restore the Pasture and to ensure that ‘behind the scenes’ our small charity functions as effectively and efficiently as possible. We welcome help of all kinds from anyone happy to give up a small amount of their time. Work days on the Pasture take place every Saturday morning from 10am – 12 noon. Just turn up! Don’t wear your best clothes and make sure you have stout footwear – waterproof in winter and early spring when the ground underfoot tends to be very wet. We provide all necessary tools and equipment and have a fun time with a break for coffee about 11am. Most jobs require some physical effort but do not require great strength or skill. We also need help on the Pasture with wardening on Saturdays and Sundays, on special days (such as for Butterfly, Moth, Flower, Wildlife), and when we have group and school visits. We would particularly welcome anyone who can assist with wildlife surveys, act as our Press Officer, locally distribute the Newsletter, raise funds and undertake research into the Pasture’s ‘past’. You can show your appreciation and support for the Pasture by registering as a Friend using the form below. The more we have, the better safeguarded the land will be against future development. Friends receive a regular newsletter, and notice of future events and activities. What is 2+2? This question is to prove you are a real person and not a spam bot. If you would like to make a donation, that would be fantastic! We heavily rely on income from our Friends, supporters and visitors. 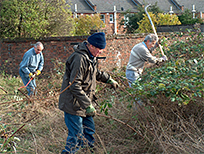 We receive no funding from the Council and have to raise all money to undertake restoration work, provide limited facilities and manage the land on a day to day basis from our own resources.